We have been working on many projects, and particularly literature. 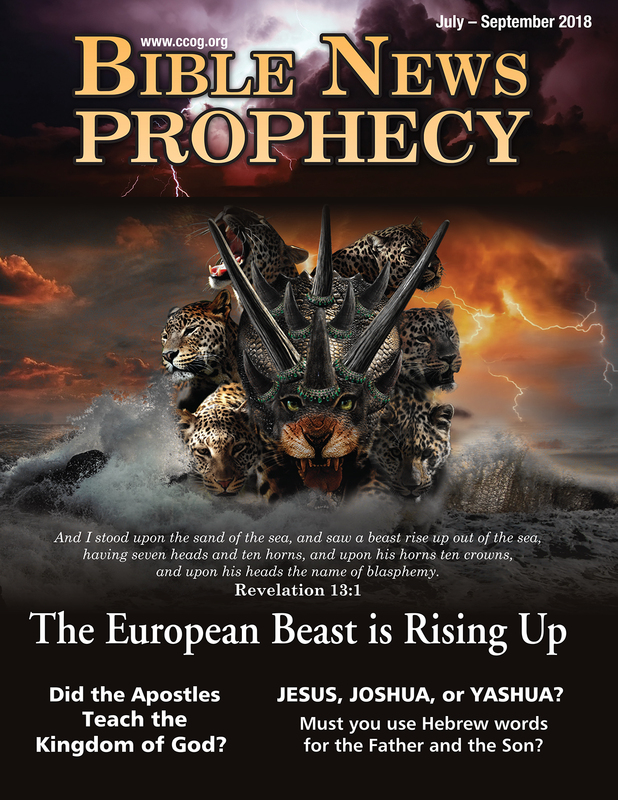 We were able to mail out the July-September 2018 edition of Bible News Prophecy magazine this week (we finished today actually). We mailed out to international areas, including Spanish ones, last week as delivery to those areas takes longer. 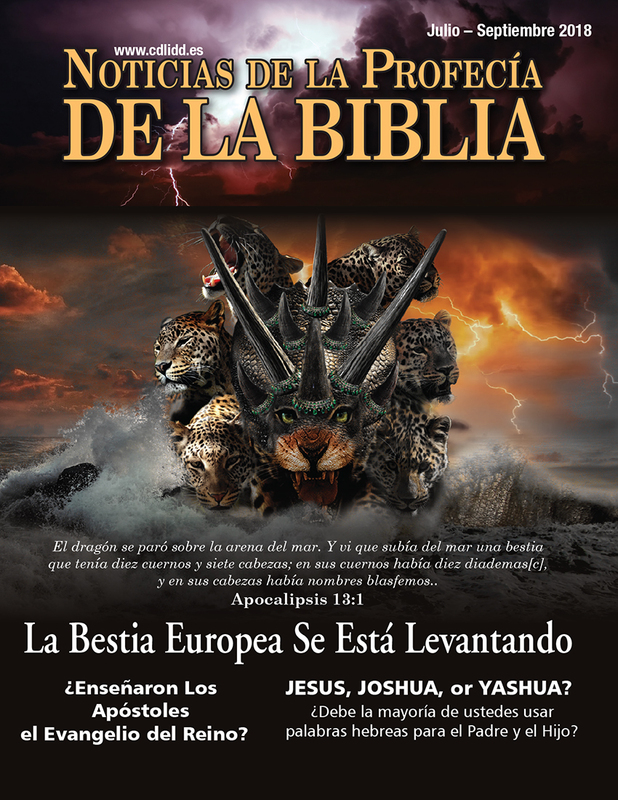 Here is a link to the Spanish edition online: Noticias de Profecía de la Biblia Julio-Septiembre 2018. As mentioned before, I plan to visit the small group we have in Almont, Michigan for services at 2:30 pm, July 21, 2018. I look forward to seeing people who normally attend there as well as any visitors who may come. As most of you are aware, we have been working on several booklets which we have not yet printed. God understands the entire universe and the Bible is His word. Despite views of certain critics, the Bible as originally written has no contradictions (cf. John 10:35) and is profitable for teaching (2 Timothy 3:16-17). These teachings include creative (Isaiah 45:1-7), astronomical (Isaiah 40:22), and prophetic ones (Isaiah 46:9-11). The Bible has long held correct views that differ from those held by the general populace. The Commentary: CRITICAL, PRACTICAL AND EXPLANATORY, on The Old and New Testaments on this verse states “circle — applicable to the globular form of the earth.” The original Hebrew word translated as circle is ח֣וּג means a compass, circle, or sphere. The original Hebrew word translated as revolution is תְּקוּפַ֖ת and essentially means to go round or revolution of time. The Hebrew word לִתְקוּפַ֣ת in 2 Chronicles 24:23 is also considered to mean revolution, and in context, supports the view of an annual revolution of the Earth around the sun. The above is showing that the Earth turns (from the Hebrew word תִּ֭תְהַפֵּךְ). That was not the common view for some time. Furthermore, Galileo got in trouble with the Church of Rome in the 17th century for teaching that. The fact that biased religious leaders did not properly understand the Bible does not mean it was not accurate. It was and still is. This is of interest, because while the Bible clearly teaches that the Earth is not on top of anything, that was not the ancient view. The ancients believed that the mythological titan Atlas (who the Atlantic Ocean is named after) or a great turtle (tortoise) held up the Earth. Since the writers of the Bible were inspired by God, they reported information that many of the ‘educated’ of their time did not understand. Thus, it is of no surprise that many of the more educated today still do not understand the truth about what it teaches. While the above will not persuade those whose minds remain blinded, hopefully this will help show those who God is calling that the Bible is reliable–perhaps more than they realized. There have been protests in Iran, mainly because of economic reasons. The Iranian government blames the USA (see Iran blames USA ‘economic war’ for protests–and vows to fight). The Bible tells of the protection of Jerusalem being taken away and God allowing peoples that seem to be from Iran and Syria to successfully attack the nation now called Israel (Isaiah 22:6-14). Sometimes nations go to war to change the focus of domestic opposition. This may well happen with Iran. Queen Elizabeth II gave her assent for the departure of the United Kingdom from the European Union (see Brexit is officially the law of the UK). The UK is scheduled to exit the EU on March 29, 2019. Negotiations between the UK and EU have not gone well and the Europeans will not forgive the UK for departing from their union. This will not end well for the UK (cf. Daniel 8:23-25). Because of USA policies, EU Council President told Europeans to prepare for the worst with relations with the USA (see EU leaders to ‘prepare for the worst’ in EU-US relations: New World Order?). Those who think that NATO will insure that the USA and UK will not be attacked as prophesied (e.g. Daniel 11:39) should realize that even the head of NATO recently said that there is no guarantee that NATO will survive (see Why the head of NATO says there’s ‘no guarantee’ that the trans-Atlantic alliance will survive). Biblically prophecies will come to pass, and ultimately NATO will not exist as it has. Trade issues continue to be in the news (e.g. Beginnings of a Trade War: Church of God writers have long warned this would come to pass). Europe sees US actions leading as a ‘trade apocalypse’ (see ‘Trade apocalypse’ will lead to the fulfilling of prophecies in the Book of the Apocalypse). We are seeing more and more steps that will lead to the fulfillment of these trade and other prophecies. Our recommended sermonette for this week has to do with trade: Trade Disputes: CCOG Warnings Are Coming to Pass. Sermonette, which for most who receive this letter via email will be a recorded one. The one suggested for this week is: Trade Disputes: CCOG Warnings Are Coming to Pass. Other sermonettes are available at the Bible News Prophecy channel. Sermon, which for most who receive this letter via email will be a recorded one. The one suggested for this week is: Canada in Prophecy. Other sermons are also available at the ContinuingCOG channel. Wonder what you should do, spiritually, this week? 5 Let your gentleness be known to all men. The Lord is at hand. 8 Finally, brethren, whatever things are true, whatever things are noble, whatever things are just, whatever things are pure, whatever things are lovely, whatever things are of good report, if there is any virtue and if there is anything praiseworthy–meditate on these things. Brethren, rejoice in God and strive to live as a faithful Christian.